Rustie is some sort of cool guy musician man from Glasgow, who Wikipedia reliably informs me belongs to a sub-genre of music called “lazer hip hop”. I don’t quite know what lazer hip hop is, but having strolled and bounced around the browser-based virtual world promoting the guy’s latest album, I think I quite like it. You might too! 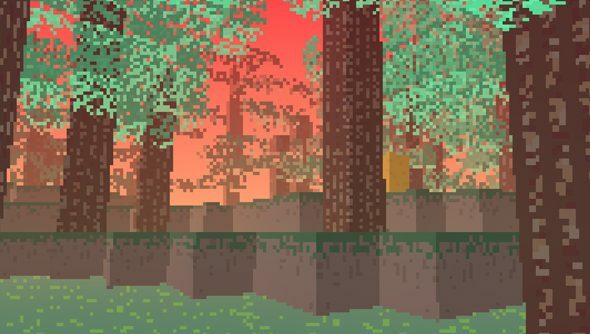 And if not, you’ll probably still enjoy poking about the beautiful, pixelated and Proteus-esque cubeworld that houses his music. By finding special locations within the world, you can unlock new tracks to stream, with the full album becoming available if you manage to win. It starts out basic enough, with totems hidden in forest clearings, but shortly thereafter you’ll discover trampolines and mazes and platforms and all manner of other gamey cleverness. 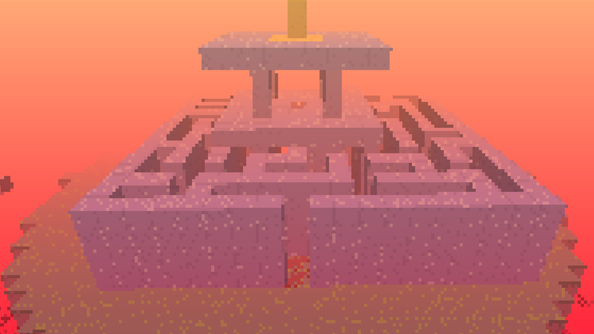 Appropriately enough, a track called Lost plays right around the point you realise you’re not getting back out of the maze. All this dusky exploration is in aid of promoting Rustie’s latest album, Green Language, which launches on Monday. Nobody’s asked me to add that, but I just thought it’s worth mentioning as I’m fully in favour of hip hop albums receiving adventure-game tie-ins from this point onwards.